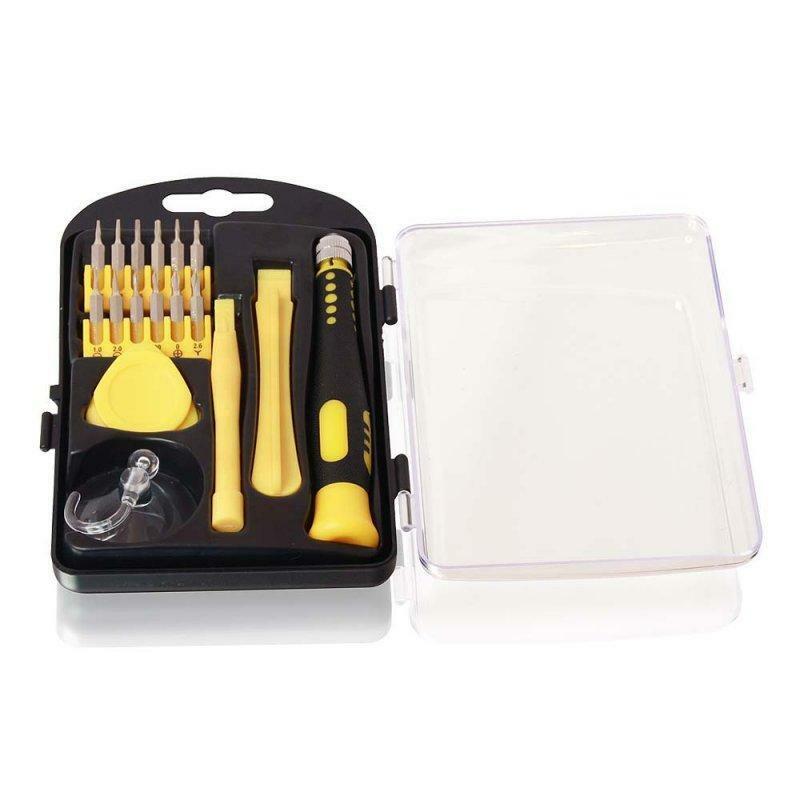 This quality kit is suitable for both professional and DIY smartphone repairs and gives you many of the tools you’ll need to easily replace cracked displays, broken touchscreens or drained internal batteries. 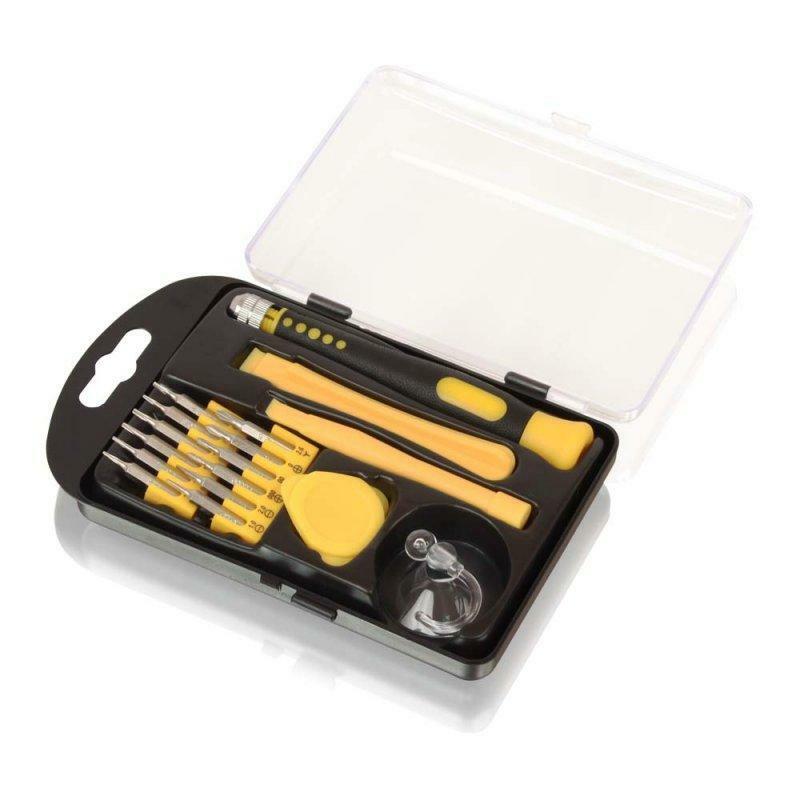 The highly portable 17 piece set is ideal for working with various makes of smartphones and tablets include Apple (iPhone, iPad and MacBooks), HTCs, LG, Motorola, Samsung, OnePlus and Sony Smartphones. 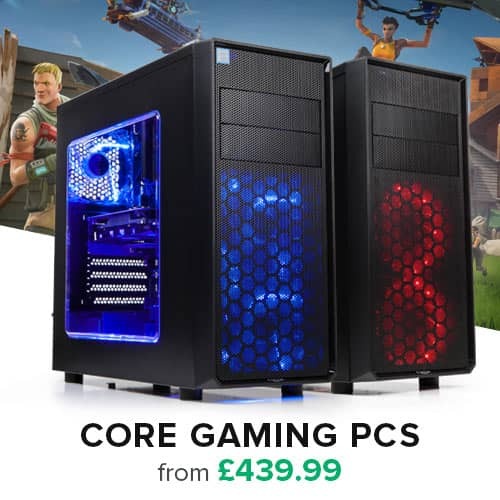 It can also be used with a wide range of everyday computer hardware and smaller gadgets as well as Xbox, PlayStation and Nintendo Wii games consoles. 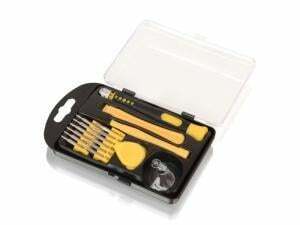 Each detachable 20mm driver is clearly marked with its size and locks firmly into the adjustable driver handle.